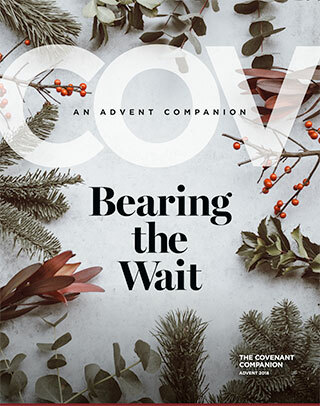 This holiday season, The Covenant Companion would like you to have a FREE downloadable PDF called Bearing the Wait: An Advent Companion, a devotional guide from the editors and writers of the Covenant's very own magazine. The devotional was created to help the ECC community enter into a spirit of reflection and expectation as we look forward to the celebration of our Saviour's birth. Each devotional includes a scripture verse and a thoughtful meditation on the hope and good news of "the Word made flesh."